We have designed, developed, and implemented a novel full flow sampling system (FFS) for quantification of methane emissions and greenhouse gases from across the natural gas supply chain. Johnson, D. R., Covington, A. N., Clark, N. N. Design and Use of a Full Flow Sampling System (FFS) for the Quantification of Methane Emissions. J. Vis. Exp. (112), e54179, doi:10.3791/54179 (2016). The use of natural gas continues to grow with increased discovery and production of unconventional shale resources. At the same time, the natural gas industry faces continued scrutiny for methane emissions from across the supply chain, due to methane's relatively high global warming potential (25-84x that of carbon dioxide, according to the Energy Information Administration). Currently, a variety of techniques of varied uncertainties exists to measure or estimate methane emissions from components or facilities. Currently, only one commercial system is available for quantification of component level emissions and recent reports have highlighted its weaknesses. In order to improve accuracy and increase measurement flexibility, we have designed, developed, and implemented a novel full flow sampling system (FFS) for quantification of methane emissions and greenhouse gases based on transportation emissions measurement principles. The FFS is a modular system that consists of an explosive-proof blower(s), mass airflow sensor(s) (MAF), thermocouple, sample probe, constant volume sampling pump, laser based greenhouse gas sensor, data acquisition device, and analysis software. Dependent upon the blower and hose configuration employed, the current FFS is able to achieve a flow rate ranging from 40 to 1,500 standard cubic feet per minute (SCFM). Utilization of laser-based sensors mitigates interference from higher hydrocarbons (C2+). Co-measurement of water vapor allows for humidity correction. The system is portable, with multiple configurations for a variety of applications ranging from being carried by a person to being mounted in a hand drawn cart, on-road vehicle bed, or from the bed of utility terrain vehicles (UTVs). The FFS is able to quantify methane emission rates with a relative uncertainty of ± 4.4%. The FFS has proven, real world operation for the quantification of methane emissions occurring in conventional and remote facilities. Recent reports confirm the climate is changing because of human activities and further change is inevitable 1. Climate change occurs from an increase in greenhouse gases (GHG) concentration of the atmosphere. Carbon dioxide (CO2) and methane are the largest GHG contributors 2. CO2 and methane originate from both natural processes and human activities 3. Present atmospheric levels of CO2 and methane have respectively increased by 31% and 151% over the past two centuries, with the methane concentration increasing at a rate of 2% per year 4-6. The climate repercussions of methane and CO2 emissions depend upon the period considered as methane has a shorter atmospheric lifespan relative to CO2 7. Methane's atmospheric lifespan is 12-17 years, after which oxidization to CO2 occurs 8. The impact of methane is 72 times greater than CO2 in a 20-year period 9. On a mass basis, methane is 23 times more effective at trapping heat in the atmosphere than CO2 over a 100-year period 10. Methane and CO2 account for 10% and 82% of the total United States (U.S.) GHG emissions 11. Global methane emissions from anthropogenic sources are approximately 60% and the remaining are from natural sources 8, 10. In 2009, non-combusted methane emissions between production wells and local distribution network corresponded to 2.4% of gross U.S. natural gas production (1.9-3.1% at a 95% confidence level) 12. Non-combusted methane emissions are not only harmful to the environment, but also represent a huge cost to natural gas companies 13. Analysts estimate that the natural gas industry loses in excess of $2 billion dollars per year because of methane leaks and venting 14. Non-combusted emissions are classified as fugitive or venting 15, 16. Fugitive refers to the unintentional release of gas from processes or equipment, such as valves, flanges, or fittings to ambient air 17, 18. Venting refers to the intentional release of gas from equipment or operation processes to ambient air, such as pneumatic actuators 19. At onshore oil and natural gas facilities, fugitive emissions account for ~30% of the total methane emissions 20. In 2011, the U.S. Environmental Protection Agency (EPA) estimates that more than 6 million metric tons of fugitive methane escaped from natural gas systems, which exceed the amount of GHG emissions (CO2-equivalent over a 100-year period), emitted by all U.S. iron and steel, cement, and aluminum manufacturing facilities combined 21. A critical gap exists in the determination of the climate impact of natural gas due to the lack of accurate and reliable estimates of associated emissions. However, there is a consensus that fugitive methane emissions occur at every stage of the natural gas life cycle and further research in accurately measuring and reporting these values is important 19. Studies have reported fugitive emissions from specific sectors with results varying by up to twelve orders of magnitude 19, 22-28. The lack of recognized industry standards and a shortage of consistent regulations in the field of leak detection and leak quantification enable the use of a variety of testing methods and equipment, with the accuracy of some measurement techniques as high as ± 50% 29-35. Therefore, considerable uncertainty exists on the quantity of fugitive methane emitted over the natural gas life cycle 19, 28, 33, 36-39. 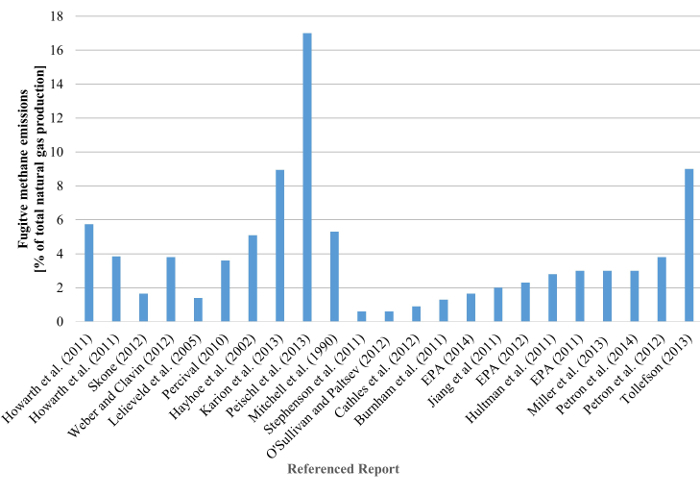 Figure 1 illustrates the amount of variability in published literature on measured and estimated methane emissions associated with the natural gas life cycle. Figure 1 shows the average published fugitive methane emissions emitted as a percent of total natural gas production. If an average value was not given the average of the published range was taken. The standard deviation between the 23 studies is 3.54, with the lowest and highest values differing by 96.5%. Figure 1. Fugitive Methane Emissions. Published averaged fugitive methane emissions emitted as a percent of total natural gas production 13, 27, 40-59. Please click here to view a larger version of this figure. Currently, the total amount of fugitive emissions is unclear due in part to measurement uncertainty and scaling techniques. Without accurate methane emission measurements, policymakers are unable to make informed choices on the matter. A review of current literature identified three primary methods for quantification of natural gas fugitive emissions: bagging, tracer gas, and a commercially available high flow sampler. The bagging method involves placing an enclosure in the form of a 'bag' or tent around a fugitive emission source 60. There are two variations of the bagging method. In one, a known flow rate of clean gas (typically inert) passes through the enclosure to create a well-mixed environment for measurement. Once equilibrium is reached, a gas sample is collected from the bag and measured. The fugitive emission rate is determined from the measured flow rate of clean gas through the enclosure and the steady-state methane concentration within the enclosure 61. Depending upon enclosure and leak size, the time required to reach the necessary steady state conditions for the leak rate measurement is between 15 to 20 min 61. The bagging method can be applied on most accessible components. However, it may not be suitable for abnormally shaped components. This method type is capable of measuring leaks ranging in size from 0.28 cubic meters per minute (m3/min) to as large as 6.8 m3/min 60.The other bagging technique is known as calibrated bagging. Here, bags of known volume are sealed around a fugitive emission source. The fugitive emission rate is calculated based on the amount of time required for the expansion of the bag, and corrected to standard conditions. Tracer gas methods quantify a fugitive emission rate based on the measured tracer gas concentration flowing through a fugitive source. Tracer gases commonly employed are helium, argon, nitrogen, sulfur hexafluoride, among others. The fugitive emission rate is determined from the ratio of a known release rate of tracer gas near the fugitive source, measurements of the downwind concentrations of tracer and fugitive source gas, and upwind baseline 24. The fugitive emission rate is only valid assuming identical dispersion and complete mixing for the two sources 62. This implies that the tracer is released near the fugitive source at a similar rate and height, and the downwind measurement is from well-mixed plumes. This method is time consuming and does not provide for component level granularity 63. A commercially available high volume sampling system consists of a portable battery operated instrument packaged inside a backpack to quantify fugitive emission rates 64. The air surrounding the leak location is drawn into the sampler through a 1.5-inch inner diameter hose at a sufficiently high flow rate that it can be assumed that all of the leaking gas is being captured. The sample flow rate is calculated with a venturi within the unit. For low concentrations of methane, 0.05-5% gas by volume, a catalyst methane sensor is used to measure concentration. This sensor is destructive to the methane and other hydrocarbons within the sample. For methane concentrations from 5-100% by volume, a thermal sensor is employed. The system uses a separate background sensor and probe which corrects the leak concentration relative to the background concentration. After the measurement is complete, the sample is exhausted back into the atmosphere away from the sampling area 64. This method can be applied on most accessible components, with the limitation of measurable flow rates up to eight standard cubic feet per minute (SCFM). This system is capable of testing up to 30 samples per hour. Recently, this system has been shown to have varied accuracy and issues regarding the transition from the catalytic sensor to the thermal sensor 65. Additionally, the system requires gas fractional analysis to correctly apply a response factor based on gas quality — it is not methane specific. The system has been widely used and may have attributed to discrepancies between top-down and bottom-up methods by under reporting methane emissions 65. Due to limitations of these methods and systems, a new quantification system was developed. The FFS employs the same design concept as dilution systems used in automotive emissions certification 66-68. The FFS consists of a hose that feeds an explosive-proof blower that exhausts the leak and dilution air sample through a mass airflow sensor (MAF) and sample probe. The sample probe is connected to a laser based methane analyzer through a sampling tube. The analyzers uses cavity enhanced absorption for measurement of CH4, CO2, and H2O. The analyzer is capable of measuring CH4 from 0% to 10% by volume, CO2 from 0 to 20,000 ppm, and H2O from 0 to 70,000 ppm. Repeatability/precision (1-sigma) for this configuration is <0.6 ppb of CH4, <100 ppb CO2, and <35 ppm for H2O 69. The sample is drawn from the stream at a constant volumetric rate. The system is instrumented with data logging equipment. Figure 2 illustrates the schematic of the FFS. Prior to operating the FFS, the grounding connection on the sampler hose is attached to a surface that allows the system to be grounded. This is a preventive action to dissipate any static charge on the end of the hose, which could result from airflow through the hose. Data acquisition occurs on either a smart phone, tablet, or laptop computer. Software was developed for data collection, processing, and reporting. Figure 3 provides a brief overview of the user interfaces for the following protocols. Figure 2. FFS Schematic and Image. Left - FFS schematic and right - portable FFS during Compressed Natural Gas (CNG) station audit. Please click here to view a larger version of this figure. Figure 3. Detection and Quantification Program Overview. 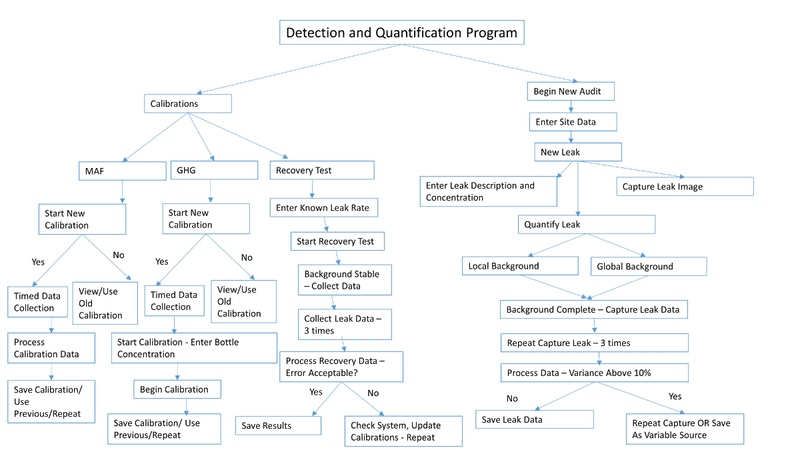 Brief overview of the steps and user prompts for calibrations, recovery tests, and leak quantification. Please click here to view a larger version of this figure. Note: The FFS has been engineered with safety in mind to eliminate or reduce the possibility of ignition of a methane or natural gas source. Natural gas is flammable in ambient conditions for volume concentrations from 5% to 15%. The system will be tested and demonstrated to meet safety requirements. Modification or tampering with the system could cause serious injury. Note: The MAF requires periodic calibration against a National Institute of Standards and Technology (NIST) traceable laminar flow element (LFE). Use the calibrations tools within the program to complete a MAF calibration against a known LFE. The program will collect all data necessary from the pressure transducers, humidity sensor, and MAF to create a new calibration. It is recommended that an 11-point calibration be completed. If a calibration is older than one month, a new calibration should be completed. Old calibrations can be viewed and used. Choose a properly sized LFE to ensure that the flow range is larger than 25% of the lower flow range of the LFE. Connect the MAF to a flow bench ensuring the inlet to the MAF is at least 10 diameters downstream of any restriction or expansion. Connect a combined absolute/differential pressure meter to the differential pressure ports of the flow bench LFE. Ensure the differential pressure transducer is within calibration. Connect the high side port of the sensor to the upstream LFE port. Connect the low side port of the sensor to the downstream port of the LFE. Ensure that the absolute pressure transducer of the combined differential/absolute pressure meter is within calibration and connect via a 'tee' fitting to high side port of the differential pressure sensor. Connect a K-type thermocouple to the data acquisition unit (DAQ). Ensure that the dew point measurement device is within calibration and connected to the DAQ and the air stream. Ensure that MAF and flow bench signals are acceptable (0-5 volts) and use the software calibrations screen to begin a MAF calibration. Set the flow at 11 different flow rates across the expected range of the MAF and within the acceptable range of the LFE. Collect a minimum of 30 sec of data at each flow condition at a minimum rate of 1 Hz by clicking the collect calibration data button. Note: Ensure that the MAF calibration spans at least 25% of the minimum flow rate of the LFE used for calibration. Do not exceed the maximum flow rate of the LFE, if larger flow rates are to be calibrated, use a larger LFE. Run the calibration software by clicking Process Calibration Data button and select the curve fit that yields minimal total error without a single point error beyond ± 2%. Note: The greenhouse gas analyzer should be calibrated internally on an annual basis by a third party. Users can use the calibrations tools within the software to complete an external calibration or verification. The calibration uses bottled gases of known concentration. The gas is mixed with nitrogen through a gas divider and exits to a flooded probe. The analyzer intakes the sample at the known flow rate and records the value. It is recommended that an 11-point calibration be completed over the range of interest. The program automatically adjusts for gas concentration and viscosity within the gas divider. Prior to field-testing, perform an external verification or calibration if necessary (previous calibrations older than one month). Power the GHG sensor on for 15 min prior to verification/calibration and connect the verification 'tee' fitting to the inlet port of the sensor. Select an EPA Protocol or NIST traceable gas to verify and use ultra-high purity nitrogen (UHPN) as the balance gas. Connect the verification gas (methane) to the component port of a calibrated gas divider using approved regulators (CGA 580 for UPHN, CGA 350 for methane). Connect the outlet of the gas divider to the 'tee' of step 2.2. Set the component gas, outlet pressure to approximately 23 pounds per square inch - gauge (PSIG) by adjusting the regulator knob. Set the balance gas, outlet pressure to approximately 19 PSIG. Set the flow rate of the gas divider to at least two times the internal flow rate of the sample pump with the gas divider, flow control knob (Current sample pump operates at two standard liters per minute (SLPM) so the outlet of the gas divider should be set at 4 SLPM). Note: Adequately flood the sample probe with the gas mixture to ensure a proper verification. Use secondary rotameter if available to ensure a net positive flow out of the flood probe 'tee' of step 2.3. Click start calibration and enter the bottle concentration of the component gas (in ppm). Use the gas divider to select component gas ranges from zero to 100% (11 total points). Collect data for a minimum of 30 sec at each setting of the gas divider to complete the linearization. Select whether a new external calibration is applied. Note: If the verification passes within the uncertainty of the gas bottle concentration (typically 1-2%) then a new external calibration does not need to be created. Repeat the prior steps for single or multiple point verifications/calibrations of methane, carbon dioxide, or water vapor. Note: A full system recovery test is completed to ensure that the FFS recovers and accurately reports a known volume of calibration gas. Power on the FFS and ensure the GHG sensor has been on for at least 15 min. Select a recovery gas to test - methane. Connect the gas bottle to an appropriate regulator and set the outlet pressure to approximately 20 PSIG. Connect a supply line to the gas bottle regulator and the inlet to a calibrated mass flow controller (MFC). Connect the outlet of the MFC to the inlet of the sampling hose. Select the gas recovery verification tab in the DAQ software and connect the serial connection of the MFC to the DAQ. Click start the gas recovery test and record the background data for at least 30 sec, the known flow rate of gas can be entered at this time. Set the flow rate of recovery gas to an average leak size based on expected or previous values (20 SLPM or 30 SLPM). Begin flowing the recovery gas and let the system stabilize for 30 sec. After stabilization, click record, and allow the program to record the leak verification data for 30 sec. Note: Upon completion of sampling the software will create a report showing the error of the between the known gas flow rate and the recovered gas flow rate. An error of ±4.4% is acceptable (relative measurement uncertainty of the system), but the targeted recovery error is ±2%. Repeat the gas recovery test at least three times and ensure that all errors are within the acceptable range. Examine the system for any faults if the error is beyond ±4.4%. Double-check all connections, flow rates, remedy errors, and repeat steps 3.2 to 3.6. Note: Faults may include that the supply line may not have been inserted into the FFS sampling hose or connections were loose on sample fittings. A new MAF calibration or sensor verification may be necessary if not previously completed (within a month). Note: Perform a site inventory to identify each potential source of fugitive emissions. The inventory will include the number of sources (valves, flanges, pumps/compressors, vents, etc.) broken down by source group (compressor building, storage farm, vehicle fueling rack, etc.) The leak detection audit can occur in parallel or series with the leak quantification. A handheld methane detector or optical gas-imaging camera can be used to examine components for leaks. When leaks are identified record a description, concentration, and take an image. Mark the leak for later quantification or quantify the leak at this time. Create a new inventory file in the program. Enter details on the site for inventory and reporting purposes (name, type of site, etc.). Date, time stamp, and GPS location are automatically populated. Zero the handheld methane detector on ambient air prior to use. Utilize a handheld methane detector with sampling probe to check all potential interfaces that are accessible for the presence of fugitive emissions. Position the probe sample inlet orthogonal to the surface to minimize dilution. Note: The sensitivity of the handheld unit is 5 ppm above background when zeroed on ambient air. Document any inaccessible sources or aggregated sources. Note: Inaccessible sources could include vent pipes that are beyond a safely accessible height as determined by the site operator. Aggregated sources may include multiple pneumatic valves attached to a manifold or enclosed by a service box. If the source or multiple sources can be examined as a whole using an enclosure, aggregate the sources. Aggregate multiple sources using an enclosure with at least one entrance and one exit. Document all sources within the perimeter of the enclosure. Label the source as an aggregate sample and proceed using quantification of section 5. Note: Use of a leak detector solution is allowed to classify sources a "non-leaking". Holding the bottle upright, apply enough leak detector solution to cover the interface. Allow 5-10 sec for bubbles to form. Place the probe inlet of the detection instrument at the surface of the component interface. Move the probe along the interface periphery while observing the instrument readout, taking care to consider the delayed response time of the instrument. Slowly sample the interface where leakage is indicated until the maximum meter reading is obtained. Leave the probe inlet at this maximum reading location for approximately two times the instrument response time (20 sec). If the maximum observed meter reading is greater than 500 parts per million (ppm), record, and report the result. Click take leak image for reporting purposes. Alternatively, use an infrared imaging device to scan slowly the components to examine for leaks. This method is approved as an alternative work practice to detect leaks from equipment under EPA Method 21 - optical gas imaging. Turn on the camera and allow for stabilization. Remove the lens cover and use the camera screen to scan slowly the components for leaks. Note: Optical gas imagining cameras are typically expensive but do reduce the time required to scan components for leaks. Use of high sensitivity modes may be required for small leaks. If a leak is detected with the camera, either record video or an image for reporting purposes. Mark the leak locations for subsequent quantification with the FFS. Note: Leak rate quantification may be complete at the same time as leak detection or after an inventory of leaks has been completed. Quantification occurs under the new leak button after entering site and leak data. The user must select whether to use a local or global background. In either case, the system will control the proper solenoid valves and record a timed sample. Once a background has been taken, the leak should be quantified three times or from three directions to ensure proper leak capture. The system will analyze the three measurements and report the variance. Users may save the leak data (separate and average), repeat the capture, or classify the source as variable. Measure and record methane background concentrations periodically throughout the site visit and with every leak quantification. Note: It is of high importance to take separate backgrounds for leaks that are within a similar region and under conditions when the dilatation air may contain a slipstream of nearby leaks. Combined leak analysis of systems is discussed below — 5.15. Quantify any identified leaks. Prior to approaching the leak with the sample hose ensure that the grounding strap is in contact with the ground and clip the clip the sampler ground clamp to the item in question. Using the FFS, position the sampling hose at multiple points around the area of the leak source to obtain three consecutive leak rate quantifications for that source that included the continuously recorded sample flow and sample concentration. Adjust the full flow rate to increase volumetric flow by opening or closing the iris duct on the intake of the blower. Adjust the duct valve to ensure that the maximum methane concentration is within 10% of the highest calibrated value or that minimum methane concentration is at least 2 ppm higher than the background concentration. In the program, press the quantify leak button. An option to use a global or local background will prompt the user. When in doubt of contamination from other leaks, always take a local background. With the hose in the leak quantification position, click take local background. Once completed the program will prompt the user to quantify the leak. Note: The program automatically switch the sampling location of the outlet of the FFS to a port just behind the inlet to the sampling hose for a local background. The sampling hose must be in the same measurement position as is used for the sample quantification. Repeat the record leak prompt three times, especially in the cases of high ambient wind conditions or in complex geometries. If the variance of the additional quantifications is above 10%, investigate to determine if the variance is the result of instrument malfunction or variability in leak rate. If the source of variability in leak rate is due to instrument malfunction, remedy the source of malfunction and re-quantified. Otherwise, classify the leak as "variable" and record the suspected cause. In the case of multiple sources in close proximity or a single source enclosed by a covering, treat the source(s) in question as a single source for leak quantification using an enclosure. Use the Enclosure tab to perform this type of quantification. Fabricate an enclosure entirely of plastic sheeting or incorporated either flexible, non-permeable material, or rely on a permanent enclosure such as a compressor housing. Note: The enclosure allows the quantification device to capture any natural gas that is leaking from components within its boundaries and allows for dilution of the captured natural gas via purposely-placed holes in the enclosure or from existing vent locations on permanent enclosures. Allow any natural gas being diluted to be drawn from the enclosure and to achieve a steady reading from the GHG sensor. The duration of quantification sampling performed using an enclosure is dependent upon the size of the enclosure. If a bag sample is required, place an evacuated sample bag of the bagging box to the outlet of the GHG sensor. Use the software to record bag sample, identification number and on-screen timer to ensure a full bag sample for off-site analysis has been taken. Multiple FFS were developed and used to quantify a variety of methane emission sources. Two major studies included the Environmental Defense Fund's Heavy-Duty Natural Gas Vehicles Pump to Wheels (PTW) study and the Barnett Coordinated Campaign (BCC). The PTW study focused on quantification of methane emissions from heavy-duty natural gas vehicle fuel systems, engine crankcases, compressed natural gas tanks, liquefied natural gas tanks, fuel station equipment, nozzles, and other leaks. Multiple FFS systems were used during the BCC, which brought together leading experts from academic and research facilities from around the country to collect methane emissions data across the natural gas supply chain (production, gathering and processing, transmission and storage and local distribution) through a combination of aircraft, vehicle, and ground-based measurements. We conducted direct source quantification of methane emissions at natural gas compressor stations and storage facilities using the developed methodology and FFS system. A portion of the results from the Barnett Shale study relating to measurements obtained through the employment of the FFS has been presented and published at peer reviewed conferences and scientific journals 70-72. For both the PTW and BCC, we employed methane leak detection equipment to survey site components including valves, tubing/piping, and other components that carried or held natural gas. A leak was detected with a hand held methane detector. This hand held detector aided in the identification of the leak location by identifying an increased methane concentration above background. Once a leak location was detected that surpassed the concentration threshold, researchers used the FFS to quantify the leak rate. The FFS leak sample was collected through a hose attached to the inlet side of a blower. The sample passed through a certified explosion proof blower where it was exhausted through a piping system that contained a MAF and methane sensor. The FFS system was able to sample at flow rates from 40 to 1,500 SCFM dependent upon the system configuration. Using the measured sample flow rate and methane concentration, the leak rate in SCFM or g/hr was calculated. For calibration, a constant flow was established through the system. The pressure drop across the LFE was obtained through the measurement of the differential pressure between the high-pressure port and the low-pressure port on the LFE. The absolute pressure was recorded from the high-pressure port of the differential measurement line. Calibration pressures were measured and recorded with a combined differential/absolute pressure meter. The handheld unit used two modules, one for absolute pressure, and one for differential pressure. The absolute pressure module was a capable of measuring 0-30 PSI absolute with an uncertainty of 0.025%. The differential pressure module was a capable of measuring from 0 to 10 inches of water with an uncertainty of 0.06%. The temperature of the gas sample was measured prior to the LFE using a K-Type thermocouple with an uncertainty of ±1.1 °C or 0.4%. The voltage output from the MAF was recorded via an analog data acquisition card. The flow rate was varied with a variable restrictor valve on the inlet of the blower. Calibrations were performed on the MAF for various flow rates, ranging up to 1,500 SCFM. As a constant flow rate of air passed through both the LFE and MAF, the pressure differential, sample temperature, absolute pressure, and MAF voltage were recorded simultaneously. The pressure differential across the LFE, sample temperature, and absolute pressure were used to calculate the actual volumetric flow rate through the LFE using coefficients provided by the manufacturer. The actual volumetric flow rate was converted to standard volumetric flow. The standard volumetric flow rate through the LFE was related to the voltage obtained from the MAF, as shown in Figure 4. Figure 4. MAF Output Signal Calibration. Multipoint calibration of the MAF with a NIST traceable LFE (see Sections 1 to 1.7). Please click here to view a larger version of this figure. A least-squares regression was performed on the data set to determine the best-fit coefficients of the equation and to calculate the equation's regression statistics, R2, to examine correlation between the data sets. 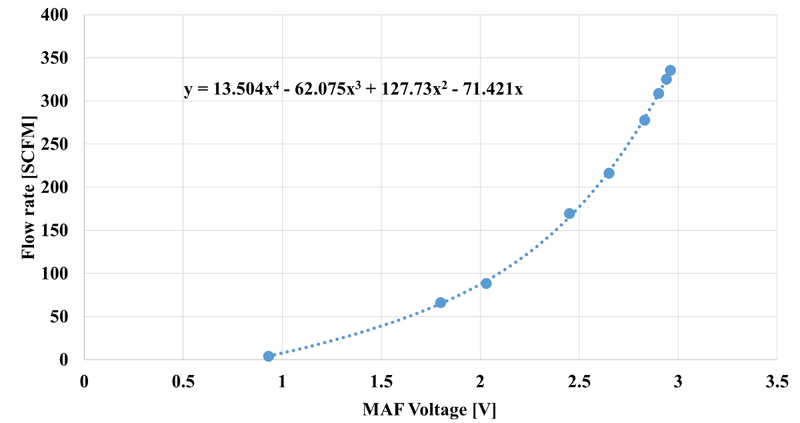 Once the equation was developed, to relate the MAF voltage to the flow rate through the LFE, a comparison was made between the actual flow rate and the measured flow rate of the MAF. This is shown in Figure 5. Figure 5. MAF Flow Rate Correlation. MAF measured flow rate plotted against the LFE actual volumetric flow rate (see Sections 1.8). Please click here to view a larger version of this figure. 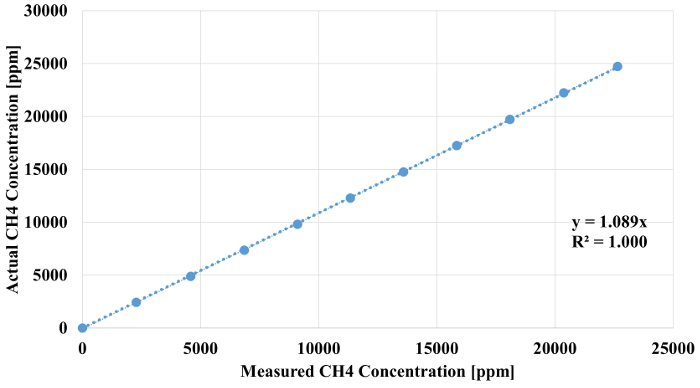 The calibration of the methane sensor with a 24,730-ppm methane gas cylinder is shown in Figure 6. The average deviation from the actual methane concentration after the external correction was applied was 0.7%. The largest deviation from the actual methane concentration after the external correction was applied was 1.9%. Figure 6. Methane Sensor Calibration/Verification. External verification of the methane sensor using a calibrated gas divided and NIST traceable bottled methane (see Section 2). Please click here to view a larger version of this figure. After the calibration curves had been obtained and applied, verification of the entire system was performed by completing a gas recovery test. In which a known mass of methane was injected into the system using a methane calibrated MFC and a comparison made between the mass indicated by the system to the true mass injected. This procedure was based on the common practice of propane injections required by the Code of Federal Regulations for ensuring the capture and measurement ability of full flow dilution tunnels where a known volume of hydrocarbon emission are injected into the measurement system using an independently calibrated device and the recovery ability of the system is verified. The controlling MFC was calibrated on methane. The MFC was set at two flow rates of 20 and 30 SLPM of 99.9% pure methane. 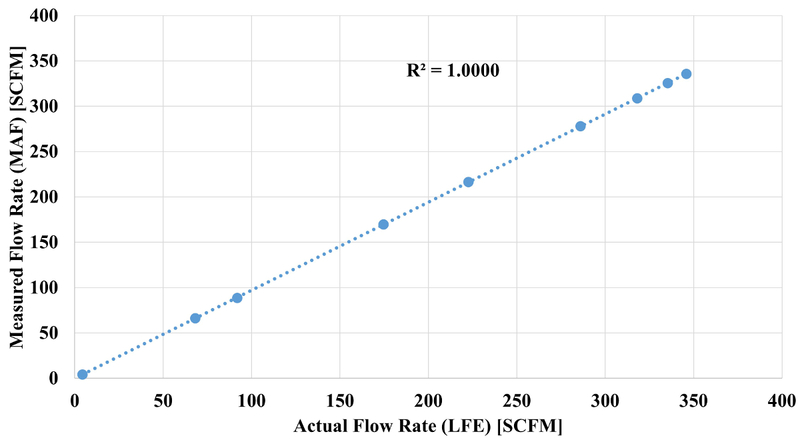 The results are presented in Table 1 for a system flow rate of 140 SCFM. It was shown that in both cases the FFS system measured values were within the expected 4.4%. The average error in the two measurements was +2.2%. Table 1. FFS Recovery Results. 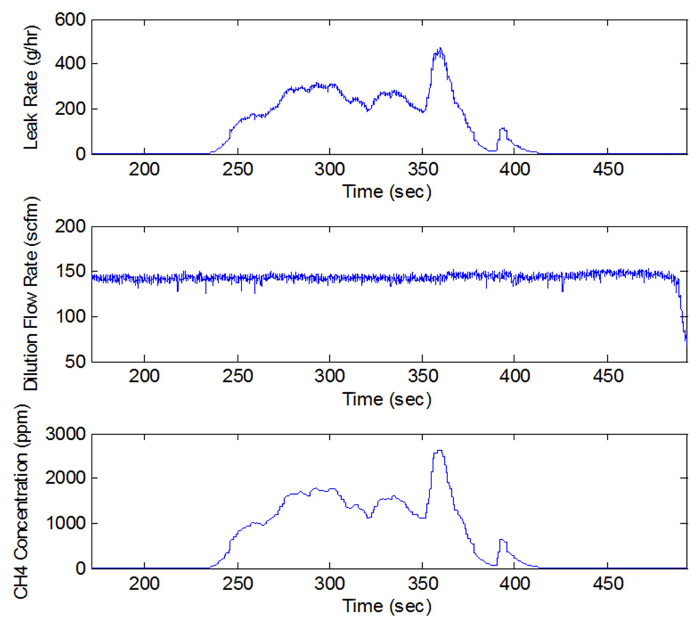 Methane recovery tests at two different simulated leak rates. Figure 6 illustrates an example of a continuous leak sources. Figure 7 can be divided into 4 separate regions, a-d. These include the following portions: background, approaching leak source, leak capture, and retreating from the leak source. Leak quantification occurs during section c. Upon review, the second repeated measurement of the same leak occurs after section d. Figure 8 shows the leak as viewed from infrared camera - the left shows the methane plume dispersing naturally - the right shows that the FFS collects all of the leak plus additional dilution air. Figure 7. Conventional Continuous Leak. 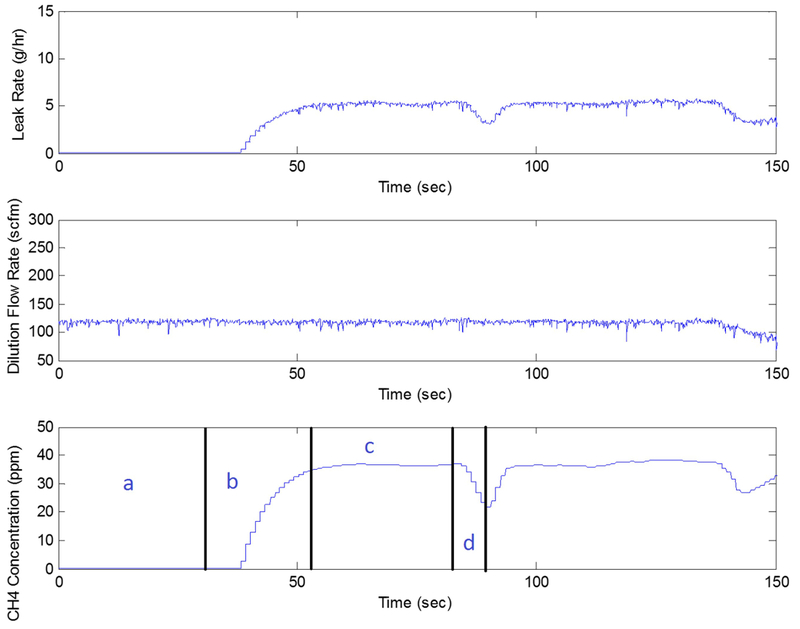 Continuous leak source time trace showing the various measurement sections (a: background, b: approaching the leak, c: average leak rate, d: retreating from leak) (see Sections 5 - 5.6). Please click here to view a larger version of this figure. Figure 8. Infrared Image of Leak. Left - leaking fitting and right - captured/quantified leak from the same fitting (see Section 4.6). Please click here to view a larger version of this figure. The total mass associated with a certain event was obtained from the concentration-time profile through the application of numerical integration. In order to circumvent some of the inefficiencies associated with the trapezoidal rule, an adaptive composite Simpson's rule was employed. This adaptive quadrature type method allows for automatic step size adjustments in regions of sharp variations 73. 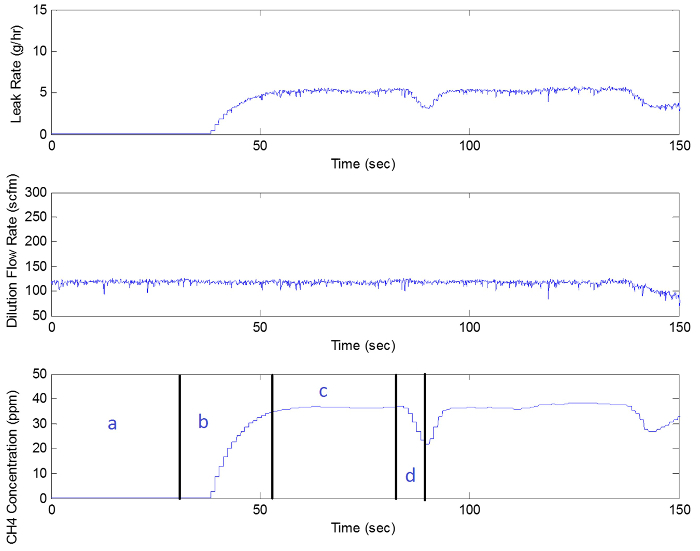 The need for numerical integration of the collected data was applicable for intermittent events, such as Figure 9 illustrates an example of an intermittent source of methane emissions. This example was for a vehicle-refueling event. Background is shown from 150-240 sec and from 425 sec until the end. This particular event was for the refueling of a single liquefied natural gas (LNG) tank. The leak rate was integrated to determine the total mass emitted (9.5 g). Figure 9. Intermittent Leak. Intermittent 'leak' source from a vehicle-refueling event (concentration [ppm], dilution flow rate [scfm], leak rate [g/hr]) (see Section 5). Please click here to view a larger version of this figure. Due to multiple sources being in tight proximity and enclosed by a covering, the compressor unit was aggregated and treated as a single source for leak quantification. Figure 10 shows an example of measuring the methane emissions from an aggregated source. These data were collected from a time-fill CNG compressor housing. The compressor housing was measured continuously for approximately 119 min. The compressor unit encountered did display a small amount of variability. Variations in leak rate and methane concentration were due to pressure fluctuations and variable leaks from compressor seals. For aggregated sources, data were collected for extended periods and the average leak rate was calculated. Figure 10. Aggregate Example. Leak rate, flow, and concentration data from an aggregated time fill CNG compressor housing (compressors and fans off) (see Section 5.7). Please click here to view a larger version of this figure. In order to improve accuracy and overcome current industry limitations, we created the Full Flow Sampling System (FFS) for methane quantification. Researchers used the system in a variety of forms in numerous locations across North America. Use of spectroscopy eliminates significant interference from C2+ compounds and the non-destructive sampling nature allows for bag sampling of the leak for alternative analysis offsite. When combined with alternative wind blocks the system has successfully and accurately quantified methane emissions from the following items: CNG fuel systems, LNG fuel systems, internal combustion engine crankcases, piping, tubing, connectors, flanges, compressor vents, well head components, water/oil separator tanks, valve, pneumatic actuators driven by natural gas, well casings, and numerous other natural gas related components. System platforms included portable carts, on-road, and off-road vehicles. Power consumption does require the use of a generator or house power through standard 120 VAC connections. However, through this use of 'grid' power the system can sample at higher flow rates yet still be used in conjunction with extension cords and long sampling houses for portability around a given site of interest. Current battery powered systems have decreased performance as a function of battery state of charge which is eliminated using grid power. Periodic calibrations protocols have been developed and integrated into the user-interface. Protocols 1-3 should be completed prior to any new site audit or at a minimum on a monthly basis. If users do not diligently follow the protocols, the system may under or over-report emissions rates, which could negatively affect GHG reporting. The primary goal of the protocols is to ensure an accurate system to estimate total site emissions with component granularity. If statistical analysis are used to create new emissions factors, then each non-leaking component must also be recorded. The leak detection process can be time consuming with the use of handheld units. The use of an optical gas-imaging camera can significantly reduce the time required for leak detect. The camera must be capable of measuring volatile organic compounds including methane. Currently available commercial units have sensitivities on detectable leak rates of approximately 0.8 grams per hour (g/hr) and are dependent upon wind conditions. Imaging devices are also sensitive to temperature. Be sure to adjust temperature scales as necessary. Extremely cold vapors (cryogenic natural gas) or superheated vapors (steam in exhausts and others) can appear as excessive leaks. Subsequent quantification must follow to determine accurately the actual leak rate of any imaged leak. Use of infrared cameras can significantly reduce leak detection inventories, but are sensitive to wind conditions. Smaller leaks under high wind conditions could diffuse more rapidly and not be spotted. When in doubt, always double check with a hand held methane detector. The relative uncertainty of measured methane emissions rates is ±4.4% except in circumstances where the leak is inconsequential as the concentration measured approached background concentration. An example of component uncertainties is provided in Table 2. Table 2. Component Uncertainty. Independent component uncertainties used to quantify system uncertainty. Overall, the system and its methods have proven beneficial in efforts to quantify accurately the methane emissions from various sources. The system is scalable and user friendly. The developed system has an uncertainty of ±4.4% compared to current commercial systems with an uncertainty of ±10% 74. With proper calibrations, this system can easily quantify leak rates up to 140 SCFM compared to current commercial systems that are capable of quantifying leaks up to 8 SCFM with full battery charges 64,74. While the system requires connection to house power, this offers advantages of consistent sample rates and sample rates much higher than current systems. The minimum detection limit of the current system is 0.24 g/hr or 3.0x10-3 SCFM. The user interface reduces post-processing requirements and reduces reporting efforts. In addition, the laser-based sensors are non-destructive to the leak sample, which allows for direct measurement of the sample with multiple analyzers 65. Laser based measurements also do not require separate sensors for ambient, small, and large leak concentrations or sensor transitions, which contribute to additional sources of inaccuracy. Future studies focus on continued optimization of the FFS and its user interface. Additional research is being conducted which combines experimental research data and computation fluid dynamics to develop additional best practices to ensure consistent and optimal measurement techniques. The authors, along with Mr. Christopher Rowe and Mr. Zachary Luzader have filed invention disclosures and provisional patents with West Virginia University's Research Corporation and Office of Technology Transfer to protect the intellectual property associated with this system. The authors thank the staff of the WVU Center for Alternative Fuels, Engines, and Emissions, including Mr. Zachary Luzader and Mr. Christopher Rowe. The author's thank the Environmental Defense Fund, the WVU Research Corporation, and the George Berry Foundation for funding the research programs that provided field data and a variety of test conditions under which to use the developed FFS. 2006 IPCC Guidelines for National Greenhouse Gas Inventories. Intergovernmental Panel on Climate Change. Available from: http://www.ipcc-nggip.iges.or.jp/public/2006gl/ (2006). Hansen, J. Climate impact of increasing atmospheric carbon dioxide. Science. 213, (4511), 957-966 (1981). Ramanathan, V., Feng, Y. Air pollution, greenhouse gases and climate change: Global and regional perspectives. Atmos. Environ. 43, (1), 37-50 (2009). Sims, R. Renewable energy: a response to climate change. Sol. Ener. 76, (1), 9-17 (2004). Rasmussen, R., Khalil, M. Atmospheric methane in the recent and ancient atmospheres: concentrations, trends, and interhemispheric gradient. J. Geophys. Res. 89, (7), 11599-11605 (1984). Rasmussen, R., Khalil, M. Atmospheric methane (CH4): Trends and seasonal cycles. J.Geophys.Res. 86, (C10), 9826-9832 (1981). Etheridge, D., Steele, L., Francey, R., Langenfelds, R. Atmospheric methane between 1000 AD and present: Evidence of anthropogenic emissions and climatic variability. J. Geophys. Res. 103, (D13), 15979-15993 (1998). Mosier, A. Soil processes and global change. Biol. Fert. Soils. 27, (3), 221-229 (1998). Shine, K. P., Fuglestvedt, J. S., Hailemariam, K., Stuber, N. Alternatives to the global warming potential for comparing climate impacts of emissions of greenhouse gases. Clim. Chang. 68, (3), 281-302 (2005). Kruger, D., Franklin, P. The Methane to Markets Partnership: Opportunities for coal mine methane utilization. 11.th. U.S./North American Mine Ventilation Symposium, 3-8 (2006). Inventory of U.S. Greenhouse Gas Emissions and Sinks:.1990-2013. U.S. Environmental Protection Agency. EPA 430-R-15-004 (2015). Alvarez, R. A., Pacala, S. W., Winebrake, J. J., Chameides, W. L., Hamburg, S. P. Greater focus needed on methane leakage from natural gas infrastructure. Proc. Natl. Acad. Sci. 109, (17), 6435-6440 (2012). Pétron, G., et al. A new look at methane and nonmethane hydrocarbon emissions from oil and natural gas operations in the Colorado Denver-Julesburg Basin. J. Geophys. Res. 119, (11), 6836-6852 (2014). Leaking Profits: the U.S. Oil and Gas Industry can Reduce Pollution, Conserve Resources, and Make Money by Preventing Methane Waste. Natural Resources Defense Council. Available from: http://www.nrdc.org/energy/files/Leaking-Profits-Report.pdf (2012). Marano, J. J., Ciferno, J. P. Life-cycle greenhouse-gas emissions inventory for Fischer-Tropsch fuels. Energy and Environmental Solution, LLC. Gaithersburg, MD, USA. Report Prepared for the US Department of Energy (2001). Venkatesh, A., Jaramillo, P., Griffin, W. M., Matthews, H. S. Uncertainty in life cycle greenhouse gas emissions from United States natural gas end-uses and its effects on policy. Environ. Sci. Technol. 45, (19), 8182-8189 (2011). Hostage, B., Perry, G. Federal notification requirements for releases of oil and hazardous substances. International. Oil. Spill. Conference. Proceedings, (1), 631-634 (1993). Fujita, E. M., Campbell, D. E. Review of Current Air Monitoring Capabilities near Refineries in the San Francisco Bay Area. Desert Research Institute. Available from: http://www.baaqmd.gov/~/media/Files/Technical%20Services/DRI_Final_Report_061113.ashx (2013). Bradbury, J., Obeiter, M., Draucker, L., Wang, W., Stevens, A. Clearing the air: Reducing upstream greenhouse gas emissions from US natural gas systems. World Resources Institute. Washington, DC. Available from: http://www.wri.org/sites/default/files/pdf/clearing_the_air_summary_for_policymakers.pdf (2013). Economic Analysis of Methane Emission Reduction Opportunities in the U.S. Onshore Oil and Natural Gas Industries. ICF International. Available from: http://www.edf.org/sites/default/files/methan_cost_curve_report.pdf (2014). Inventory of US Greenhouse Gas Emissions and Sinks: 1990-2012. U.S. Environmental Protection Agency. Available from: https://www3.epa.gov/climatechange/Downloads/ghgemissions/US-GHG-Inventory-2014-Main-Text.pdf (2014). Brandt, A. R., et al. Energy and environment. Methane leaks from North American natural gas systems. Science. 343, (6172), 733-735 (2014). Allen, D. T., et al. Measurements of methane emissions at natural gas production sites in the United States. Proc. Natl. Acad. Sci. 110, (44), 17768-17773 (2013). Shorter, J. H., et al. 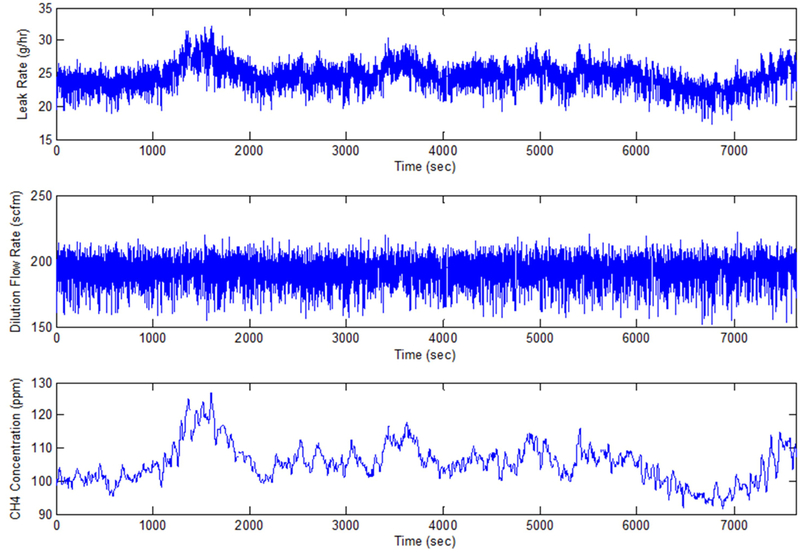 Collection of leakage statistics in the natural gas system by tracer methods. Environ. Sci. Technol. 31, (7), 2012-2019 (1997). Kirchgessner, D. A., Lott, R. A., Michael Cowgill, R., Harrison, M. R., Shires, T. M. Estimate of methane emissions from the U.S. natural gas industry. Chemosphere. 35, 1365-1390 (1997). Howarth, R. W., Santoro, R., Ingraffea, A. Methane and the greenhouse-gas footprint of natural gas from shale formations. Clim. Chang. 106, (4), 679-690 (2011). Harrison, M. R., Shires, T. M., Wessels, J. K., Cowgill, R. Methane emissions from the natural gas industry. US Environmental Protection Agency. National Risk Management Research Laboratory (1996). Mix, P. E. Introduction to nondestructive testing: a training guide. John Wiley & Sons. (2005). Murvay, P., Silea, I. A survey on gas leak detection and localization techniques. J. Loss. Prev Process. Ind. 25, (6), 966-973 (2012). Chambers, A. Optical Measurement Technology for Fugitive Emissions from Upstream Oil and Gas Facilities Alberta Research Council, CEM P004. 03. CAPP. Calgary, AB. Available from: http://www.ptac.org/projects/199 (2004). Epperson, D., Barbour, W., Zarate, M., Beauregard, D. Preferred and Alternative Methods for Estimating Fugitive Emissions from Equipment Leaks. Point Sources Committee, Emission Inventory Improvement Program. (Technical Report for Point Source Committee, Emission Inventory Improvement Program) (1996). Shorter, J. H. Results of tracer measurements of methane emissions from natural gas system facilities. (1995). Folga, S. M. Natural gas pipeline technology overview. ANL/EVS/TM/08-5 (2007). Bousquet, P., et al. Contribution of anthropogenic and natural sources to atmospheric methane variability. Nature. 443, (7110), 439-443 (2006). Brandt, A., et al. Methane leaks from North American natural gas systems. Science. 343, (6172), 733-735 (2014). Wigley, T. M. Coal to gas: the influence of methane leakage. Clim. Chang. 108, (3), 601-608 (2011). Weber, C. L., Clavin, C. Life cycle carbon footprint of shale gas: Review of evidence and implications. Environ. Sci. Technol. 46, (11), 5688-5695 (2012). Lelieveld, J. Greenhouse gases: Low methane leakage from gas pipelines. Nature. 434, (7035), 841-842 (2005). Percival, P. Update on "lost and unaccounted for" natural gas in Texas. Basin Oil and Gas. 32, (2010). Hayhoe, K., Kheshgi, H. S., Jain, A. K., Wuebbles, D. J. Substitution of natural gas for coal: climatic effects of utility sector emissions. Clim. Chang. 54, (1-2), 107-139 (2002). Karion, A., et al. Methane emissions estimate from airborne measurements over a western United States natural gas field. Geophys. Res. Lett. 40, (16), 4393-4397 (2013). Peischl, J., et al. Quantifying sources of methane using light alkanes in the Los Angeles basin, California. J. Geophys. Res. 118, (10), 4974-4990 (2013). Mitchell, C., Sweet, J., Jackson, T. A study of leakage from the UK natural gas distribution system. Energy Policy. 18, (9), 809-818 (1990). Stephenson, T., Valle, J. E., Riera-Palou, X. Modeling the relative GHG emissions of conventional and shale gas production. Environ. Sci. Technol. 45, (24), 10757-10764 (2011). O'Sullivan, F., Paltsev, S. Shale gas production: potential versus actual greenhouse gas emissions. Environ. Res. Let. 7, (4), 044030 (2012). Cathles, L. M., Brown, L., Taam, M., Hunter, A. A commentary on "The greenhouse-gas footprint of natural gas in shale formations" by RW Howarth, R. Santoro, and Anthony Ingraffea. Clim Chang. 113, (2), 525-535 (2012). Burnham, A., Han, J., Clark, C. E., Wang, M., Dunn, J. B., Palou-Rivera, I. Life-cycle greenhouse gas emissions of shale gas, natural gas, coal, and petroleum. Environ. Sci. Technol. 46, (2), 619-627 (2011). Jiang, M., Griffin, W. M., Hendrickson, C., Jaramillo, P., VanBriesen, J., Venkatesh, A. Life cycle greenhouse gas emissions of Marcellus shale gas. Environ. Res. Lett. 6, (>3), 034014 (2011). Hultman, N., Rebois, D., Scholten, M., Ramig, C. The greenhouse impact of unconventional gas for electricity generation. Environ. Res. Lett. 6, (4), 044008 (2011). Miller, S. M., et al. Anthropogenic emissions of methane in the United States. Proc. Natl. Acad. Sci. 110, (50), 20018-20022 (2013). Tollefson, J. Methane leaks erode green credentials of natural gas. Nature. 493, (7430), 12 (2013). Skone, T. J. Role of alternative energy sources: Natural gas technology assessment. NETL Office of Strategic Energy Analysis and Planning. Available from: http://www.netl.doe.gov/energy-analyses/temp/FY12_RoleofAlternativeEnergySourcesNaturalGasTechnologyAssessment_060112.pdf (2012). Inventory of US Greenhouse Gas Emissions and Sinks: 1990-2009. U.S. Environmental Protection Agency. Available from: https://www3.epa.gov/climatechange/Downloads/ghgemissions/US-GHG-Inventory-2011-Complete_Report.pdf (2011). Inventory of US Greenhouse Gas Emissions and Sinks: 1990-2010 (EPA 430-R-12-001). US EPA. Available from: https://www3.epa.gov/climatechange/Downloads/ghgemissions/US-GHG-Inventory-2012-Main-Text.pdf (2012). Pétron, G., et al. Hydrocarbon emissions characterization in the Colorado Front Range: A pilot study. J. Geophys. Res (1984-2012). 117, (D4), (2012). U.S. Environmental Protection Agency Natural Gas STAR Program. Lessons Learned - Directed Inspection and Maintenance at Gate Stations and Surface Facilities, EPA430-B-03-007. U.S. Environmental Protection Agency. Available from: https://www3.epa.gov/gasstar/documents/ll_dimgatestat.pdf (2003). Picard, D., Stribrny, M., Harrison, M. Handbook For Estimating Methane Emissions From Canadian Natural Gas Systems. Available from: https://www.researchgate.net/publication/265656519_HANDBOOK_FOR_ESTIMATING_METHANE_EMISSIONS_FROM_CANADIAN_NATURAL_GAS_SYSTEMS (1998). Johnson, K., Huyler, M., Westberg, H., Lamb, B., Zimmerman, P. Measurement of methane emissions from ruminant livestock using a sulfur hexafluoride tracer technique. Environ.Sci.Technol. 282, 359-362 (1994). Shorter, J. H., et al. 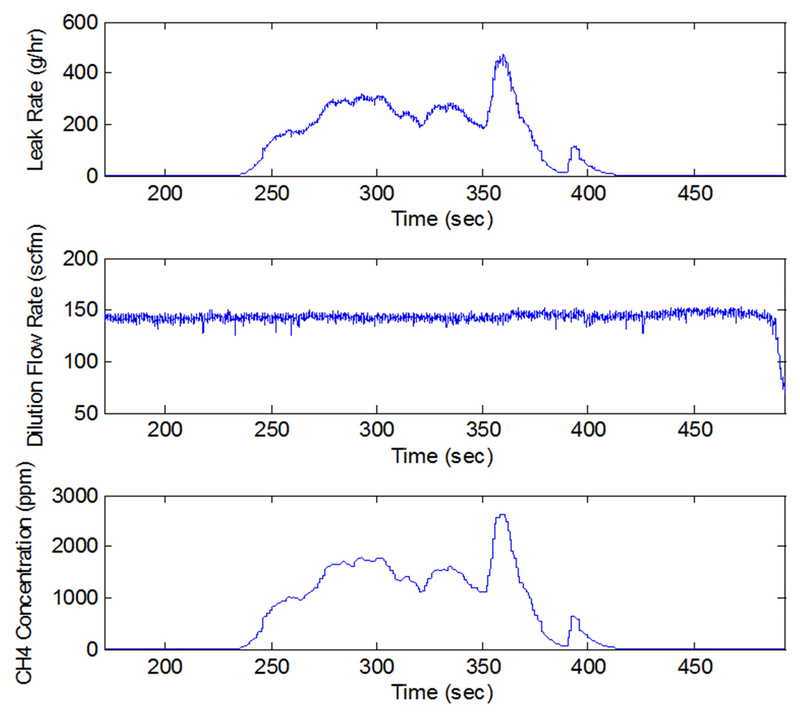 Results of tracer measurements of methane emissions from natural gas system facilities. (1995). Howard, H. M. High flow rate sampler for measuring emissions at process components. US Patent. US5563335A (1996). Howard, T., Ferrara, T. W., Townsend-Small, A. Sensor transition failure in the high flow sampler: Implications for methane emission inventories of natural gas infrastructure. J.Air Waste Manage.Assoc. 67, 852-862 (2015). Wu, Y., Carder, D., Shade, B., Atkinson, R., Clark, N., Gautam, M. A CFR1065-Compliant Transportable/On-Road Low Emissions Measurement Laboratory with Dual Primary Full-Flow Dilution Tunnels. ASME. Available from: http://proceedings.asmedigitalcollection.asme.org/proceeding.aspx?articleid=1622304 (2009). Clark, N. N., Gajendran, P., Kern, J. M. A predictive tool for emissions from heavy-duty diesel vehicles. Environ. Sci. Technol. 37, (1), 7-15 (2003). Bata, R., et al. The first transportable heavy duty vehicle emissions testing laboratory. SAE. Available from: http://papers.sae.org/912668/ (1991). Ultraportable Greenhouse Gas Analyzer (CH4, CO2, H2O). Available from: http://www.lgrinc.com/documents/LGR_Ultraportable_GGA_Datasheet.pdf (2015). Johnson, D., Covington, A., Clark, N. Environmental and Economic Assessment of Leak and Loss Audits at Natural Gas Compressor and Storage Facilities. Energy Technology. 2, (12), 1027-1032 (2014). Johnson, D., Covington, A. Potential Reduction of Fugitive Methane Emissions at Compressor Stations and Storage Facilities Powered by Natural Gas Engines. ASME. Available from: http://proceedings.asmedigitalcollection.asme.org/proceeding.aspx?articleid=2204975 (2014). Johnson, D., Covington, A., Clark, N. Methane Emissions from Leak and Loss Audits of Natural Gas Compressor Stations and Storage Facilities. Environ. Sci. Technol. 49, (13), 8132-8138 (2015). Davis, J. Methods of numerical integration. Courier Dover Publications. (2007). HI FLOW Sampler Operation and Maintenance. Available from: http://www.mybacharach.com/wp-content/uploads/2015/08/0055-9017-Rev-7.pdf (2015).